Weed control is one of our top focuses on Bark and Branch. 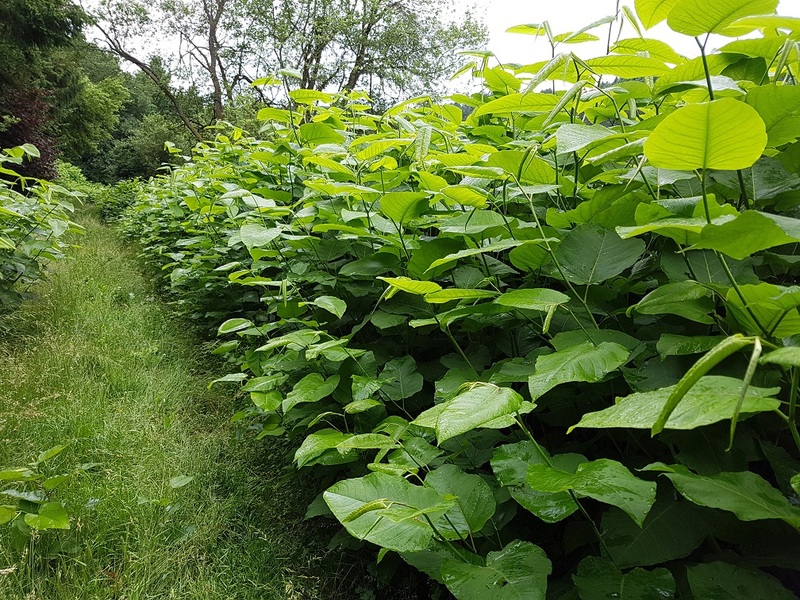 We know how difficult giant hogweed control can be, but one of the most invasive and difficult is Japanese knotweed control. Because of this difficulty, we thought we would offer a few helpful tips to help you prevent the spread of these invasive plants in your yard. There are strict consequences for allowing the spread of Japanese knotweed in particular. You can be prosecuted or given a community protection note if it grows onto someone else’s property. Here are a few ways you can prevent that from happening. Find and use approved pesticides on Japanese knotweed. We use a list of highly effective chemicals to prevent and kill off this invasive species, but if you go it alone you should consider this list before you start spraying. You also want to make sure anyone who does the spraying has a certificate of competence for herbicide use or has a supervisor who does. If your plants are near water, you’ll also want to get approval from the Environment Agency. If you’re burning it on a private property you don’t have to do this, but you should check in with your local council to see if this is allowed. The Japanese knotweed crown and rhizome can survive burning if you dispose of it incorrectly. For weed control of any kind, like giant hogweed control and Japanese knotweed control, contact our team today.